They soar on the thermals, wings spread wide, gliding effortlessly across the cloudy sky. Sometimes alone, other times accompanied by a friend or two. Often with their heads pointed towards the ground below, searching out their prey, or in this birds case, scraps of dead animals or a beetle or chick. You might spot them battling with a crow or other large bird. Fighting duels in the sky. The more you observe, the more you admire these majestic creatures of the sky. I'm talking about the Red Kite, a member of the Accipitridae family, which count eagles and buzzards among their raptor friends. A bird that is now as familiar to the Chiltern skyline as an aircraft departing from Heathrow or Luton Airport! Ok, not quite as common as that, but it won't take you long to spot one. The Red Kite reintroduction project in the Chilterns has been a conservation success story, so much so that it's spreading its wings (pardon the pun) across greater areas of Britain. A common site for birdwatchers up and down the land. The story behind the Red Kites reintroduction is well worth mentioning here. The website www.redkites.net will give you a comprehensive guide, but to summarise. Between 1989 - 1994, the Red Kite was re-introduced, having originally been almost made extinct by persecution. Apart from a small area in Wales. I can attest to that because I was always looking to the sky in my youth; planespotting and cannot ever recall seeing them. The reintroduced birds were bought over from Spain, and released into the Chiltern landscape. This got my warped brain thinking, 'I wonder how long it took them to get down with the 'English-lingo!?' Them being of Spanish origin. Picture the scene. 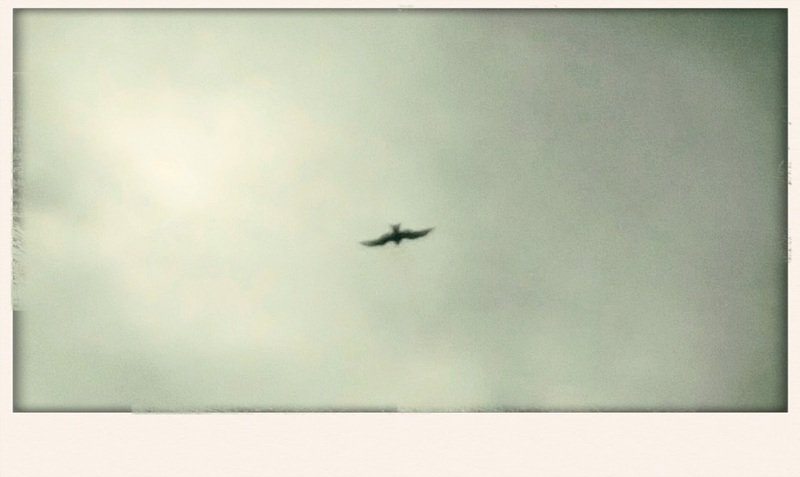 A Blackbird to a Red Kite - "Welcome dear chap, spiffing day for flying isn't it?" The Red Kite to the Blackbird - "Qué?" They must have settled well since there has been a population explosion. Recent estimates suggest there could be at least a 1000 breeding pairs, they don't know for sure because there are so many of them! After breeding (which is around this time of year) chicks are then sent out to other parts of the UK to help bolster the countrywide population. I will mention here that they always leave at least one chick in the nest. Would be a bit unfair to take them all away. Again my warped mind got thinking. I wonder what those chicks think about being moved to somewhere like; Grimsby? It's an incredible success story, one to cheer and cherish. I wanted to observe them closer, more observantly than just a fleeting glance. So that's exactly what I did. Observe them. 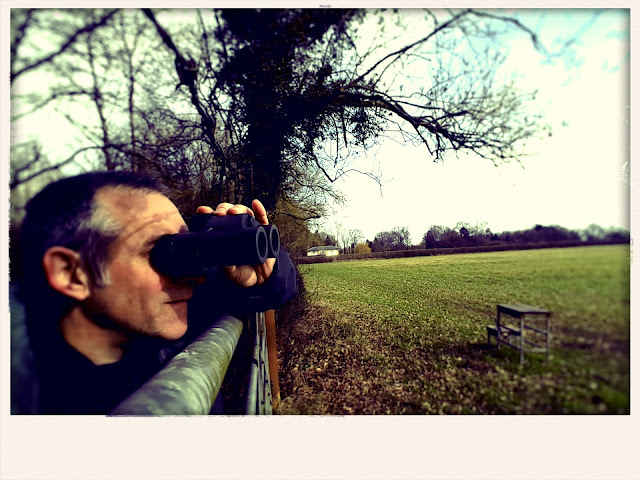 I'm no Bill Oddie or Chris Packham (bird watching and wildlife experts if the names don't sound familiar.) And I'm not very good at capturing them on a camera (see above). In fact, although I enjoy watching birds, I'm terrible with remembering which species is which, other than say a robin, blackbird and perhaps a bluetit and sparrow! You don't need any specialist equipment, nor visit a wildlife sanctuary or other such place. Arrive anywhere in The Chilterns, look up and you'll spot one quick enough. Really, it's that easy. It doesn't matter if it's in a town or the backend of some remote village, you'll see them. You could watch for hours as they go about their daily business. In some ways it makes you feel quite special knowing these large birds are flying across your patch of sky. 'Look we've got eagles too!' you can proclaim if someone tells you they have Vultures or Golden Eagles in their neighbourhood. Which I'm sure people do on many occasions! So if you come to our fair islands, then make sure to look to the skies, because the eagles are soaring!